Happy New Year wishes for Friends and Family: It is another new year celebration and we are excited to give you some happy new year wishes for friends and family. This post covers New year wishes messages, Happy new year wishes for friends and happy new year wishes for family. We have written the best wishes for you because we know how important it is to send some happy new year wishes to friends and family. Go through the wishes and make your new year celebration a delightful one. I wish you a wonderful year ahead. 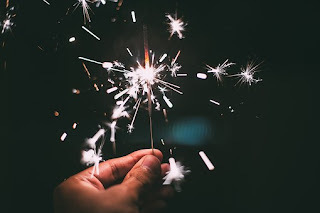 1) My dear friend, it is time to celebrate this magical and promising New Year with greatness and a big sense of belonging in all we find ourselves doing in life. Wishing you a year full of prosperity and happiness in all you do. Happy New Year my dear friend. 2) You have been a good and promising friend with great dreams and aspiration in life. May this year come with unlimited energy that will help in achieving your dreams in life, Happy New Year my dear friend. 3) It has not been too easy for me and my family last year, but through by the grace of God we were opportune to see the end. As we celebrate the beginning of this New Year I sincerely wish everyone a healthy long life, success, prosperity and a fresh start to a new beginning, Happy New year to my family. 4) It was a great opportunity seeing the end of last year my dear friend, as we celebrate the beginning of a new era we should be grateful and live a life that is worth living, Happy New Year my friend. 5) New Year is a time to better our lives and that of others, as you enter to this year my wish for you is that you will be a blessing to yourself, to your family and to those around you, Happy New Year my friend. 6) My sincere and humble shout out to my friends and family, as you all witness the beginning of this new era may the blessing and grace of God follow you all the days of your life, Happy New Year to you all. 7) As you enter this new period my friend, my prayer is that you witness the era of new turn around and unlimited success in your life, wishing you a prosperous and Happy New Year. 8) Old things have passed away and all things have become new, my wish for you this New Year is that you will witness good things and being the first in all you do, Happy New year my dear friend. 9) When I cry nobody to clean my tears but you, when am down nobody to lift me up but you, when I stop believing in myself nobody to encourage me but you, what a wonderful and kind friend you are, as you celebrate this new year may God continue to strengthen and provide all your needs because you deserve the best of all the New Year wishes, happy new year my friend. 10) My humble gratitude to my family who has been there for me all my life, may this upcoming year by a year of countless blessing and divine favor in all your endeavors, Happy New year to my family. 11) Success is for those who work hard to earn it; I have seen your commitment and hard towards achieving your goals in the last few years, may God continue to bless the work of your hands and grant your heart desires this New Year, Happy New Year my dear friend. 12) I wonder where I would have been if not for your support and encouragement, my New Year wish for you is that you go to places you have never been before, witness goods things you have never witness before and count millions you have never counted before, happy New Year my dear friend. 13) My family is really great, they are the only ones that supported me in my time of trials and success, and my prayers for you this year is blessing and favor beyond imagination, Happy New Year to my wonderful family. 14) This family has enjoyed a great deal of love, with unity and support from one another, as we enter this new year I pray that the love and bond we have for each other continue to grow stronger and stronger till death do us apart, Happy New Year to my precious family. 15) What a friend you are, to have tolerated all my rubbish and still make me feel like being the best of everything you have ever got, I sincerely admire your loyalty towards friendship and I pray that God will continue to meet all your needs and that of your family, Happy New Year my wonderful friend. 16) I am sincerely appreciating God for the end of last, and for keeping me, my friends and family alive to witness a new dawn, May we continue to witness more years to come in Jesus name, Happy New Year. 17) I wonder what last year would have been, if it is not for you my friend, that has made it a memorable one for me, as we enter this Year I pray for God to provide all your needs so that this year will be a year of total turn around and divine favor in your lives, Happy New Year my friend. 18) Not like we had the easiest of the relationship last year but patience, perseverance, and love for each other have made it looked easy and as if it was the best. I pray for God to give us more strength and the heart to keep loving and tolerating each other this Year, Happy New Year my love. 19) It is my pleasure to know every member of your family my friend, they have been the source of my strength, the root to my branches and the reason why I endured the hardship of this world, may God continue to uphold the peace and unity among every member of your family, Happy New Year my best friend. 20) You are beautifully and wonderfully made my friend may this year open close doors and hasten anything that will make you achieve your goals, Happy New Year my dear friend. 21) dear friend, I admire your companionship and all the sacrifice you have made for our friendship to stand the test of time, please if I have wrong and doubted your loyalty, please forgive me because I want our friendship to move to the next level this year, Happy New Year my friend. 22) Even though we are miles away from each other, doesn’t mean you are far away from my heart, I just want you to know I value you like life and I wish you all the best this year can offer, Happy New Year my love. 23) we have countless of reason to celebrate this year with so much joy and happiness, because we are not among those that died or those in the hospital, for this reason alone the most important thing this year is to live our life to glorify the Almighty God that has kept us sound and healthy, Happy New Year to all my friends and family. 24) we have fought, we have argued, we have lied and disrespected each other in one way or the other last year, but I want you to know I have never for a minute regret why I have you as a friend, you are simply the kind of friend I want in my life and my prayers are that we continue to love and tolerate each other no matter the challenge ahead of us, Happy New Year my dear friend. 25) seeing you my friend gives me hope, because you are fighter that believes we can achieve anything if we put our mind to it, what a unique and marvelous creation you are, and my wish for you this New Year is for God to give you the grace and strength to face and conquer all your fears, Happy New Year my friend. 26) My family has been the best of everything to me, they have chatter and made a lot of sacrifice for me, my New Year wish for them is that they should live hundreds of Years to come with abundance success and grace, Happy New Year to my family. 27) it was written that they are a time for everything under the surface of heaven, a time to cry and a time to laugh, a time to live and a time to die, my prayer is that this year will be the time for every good thing in my life and that of my family, Happy New Year to my family members. 28) New Year is a time for total reflection of how we have lived our lives in the past and the opportunity to correct our wrongs and amend our ways in years to come; I just want the best for you my dear friend, Happy New Year. Your pasts worries and give you the vision to see greater things this Year, Happy New Year to my wonderful family. 30) To my dear family, I really want you to know you are the best of everything that has ever happen to me in this past few Years, and my wish this New year is that we all stay alive to see the goodness of God in the land of the living. 31) my family has given me the best of all training a child can ever have to succeed and prosper in life, there have thought me the basics of life, what am ought to do and what am not to do, as we celebrate this new drawn my prayer is that my family will continue to grow in more knowledge and understanding to stand all the challenges and difficulties of life, happy New Year to my dear family. 32) Good things I wish my family, good things I wish my friends, goods things I wish those that have added one thing or the other to my life last year, as we all transcend into this year I pray we continue to achieve good things all the days of our lives, Happy New Year to my friends and family. 33) Love has no selection, love has boundaries, and love has no hatred or display of any form of discrimination that can hinder the flow of love from generation to generation, my wish this New Year is that the love of God will continue to grow in our heart, Happy New Year and love you all. 34) Success comes when obstacles are broken and goals are achieved, my prayer for you this New Year is for God to provide anything that will help you in achieving your goals and breaking any sort of obstacles that may want to hinder your progress in life, Happy New year my friend. 35) Being a person good has nothing to do with the success or wealth we have achieved in life but how we have touched the lives of those around us positively, my Happy New Year wish goes to my family and friends out they, that has contributed positively to humanity, may God grant your heart desires and also meet you all at the point of your needs, Happy New Year to you all. 36) You have been a source of motivation and inspiration to me my dear friend, I wonder what I would have become if I had not met you in this life, my New Year wish for you is that you will continue to be a good friend and you will never have a reason to abort our friendship, happy New Year my friend. 37) New Year comes with brightness, New Year comes with joy, New Year comes with happiness, and New Year comes with nonstop blessings and favor, as we all enter this year I wish you all the divine favor and mercy of God all the days of your lives, Happy New Year to my family and friends that has receive the gift of life. 38) blessed be the name of the lord that has counted us among the living and not among the dead, that has showered us with good health and not among those in the hospital, may we continue to enjoy and share of his grace and mercy this year and beyond, Happy New Year to all my friends and family out there. 39. Happy new year to you. I want you to remember that it is time to let go of the past and focus on the future. Let’s make a toast to a new beginning. I want you to know that happiness and peace will never leave your life. 40. You are not only changing the dates this new year but directions. I wish you a blissful year filled with abundance blessing. Remain committed and keep being consistent. Believe in God for this brand new year to be superb. 41. You don’t need to change all the action but the attitude. The right attitude can get you to wherever you desire to be. This is a year of positivity, so start the year on a positive note. You only need Faith and Focus to make this year amazing. 42. As you approach this brand new year, let the worries of the previous year be side aside because what is coming ahead of is far better than what we left behind. Keep smiling all through the new year. 43. Let us celebrate this brand new year with those who made it awesome. You a blessing to my life and I can’t stop sending all the beautiful new year wishes from my heart to you. Enjoy the rest of the year. 44. Start the year with a smile and never let it leave your face. Know that this new year will bring you unlimited favor that will leave you awestruck. I will always be there for you all along the journey as a friend. Happy new year. 45. This year will be beautiful, colorful and amazing. My warm wishes are always with you. It will be your year of favor, joy, and love. Go show the world the beauty in you because its gon’ be a beautiful year. 46. Lets celebrate this new year in grand style. This is a year of blessing and I wish you and your family a blissful year ahead. Enjoy the goodness of this year. 47. You have this brand new year to achieve all your heart desires so start it the right way. Start it by sharing the love of the season with those around you. This new year will surely bring us good fortunes. 48. Blossom with the new year and shine like the sun because this is the beginning of an era. May your heart be filled with love and happiness. Happy new year, my dear. 49. You are indeed special to me because you are the first person I am wishing a happy new year to right now. May happiness and peace follow you all through this new year. 50. Last year came with a lot of opportunities that were never converted. This year is definitely coming with more packages you can’t imagine. I am wishing you an amazing new year celebration.